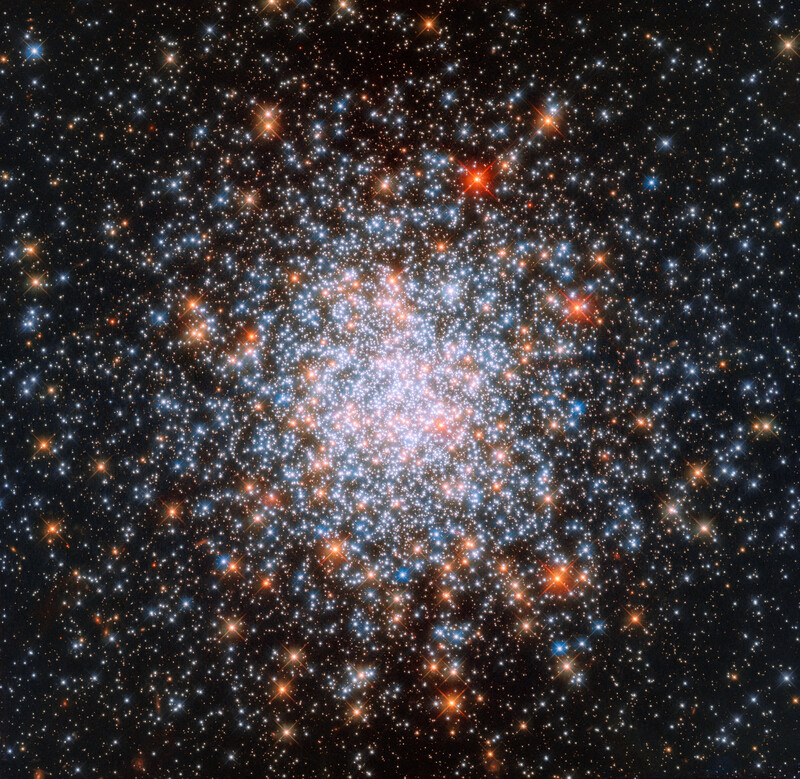 Astronomy Now - Hubble peers into a globular cluster on the outskirts of the LMC | Astro What? The globular cluster NGC 1866, located in the outer fringes of the Large Magellanic Cloud 160,000 light years away, was first observed in 1826 by the Scottish astronomer James Dunlop. While a prolific visual observer, Dunlop could never have imagined this stunning view from the Hubble Space Telescope’s Wide Field Camera 3 capturing untold thousands of brilliant suns, some of which may have been shining since the dawn of the cosmos. It is not yet known with any certainty how globular clusters form, but most of their stars are made up mostly of hydrogen and helium, the initial elements cooked up in the Big Bang birth of the universe. That implies they may have formed in the immediate aftermath, before subsequent generations of stars had time to create heavier elements in their cores. Interestingly, NGC 1866 features an unusual mix of old and young stars. It’s possible the cluster encountered a gas cloud in the distant past that provided the raw material for a new wave of star formation.